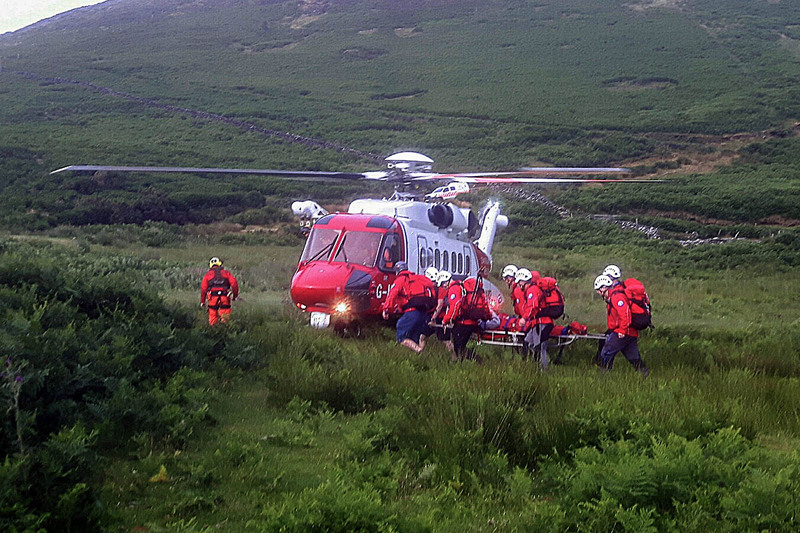 A walker was airlifted to hospital after suffering seizures while on a Snowdonia hillside. Aberdyfi Search and Rescue Team was alerted by ambulance staff about 6pm on Saturday when the woman began experiencing seizures in the woods above Dolgoch Falls, between Tywyn and Abergynolwyn. A team spokesperson said: “With only an outline description of the whereabouts of the woman, a number of small hill parties were deployed to search likely locations and a team member escorted North Wales Ambulance Service crew up the path in anticipation of quick find. “The casualty was quickly located and assessed by the ambulance crew who requested an urgent evacuation. Assistance from the Coastguard helicopter R936 was requested and granted, and a suitable landing site was identified by the team near to the casualty location. Team members accompanied one of the walker’s companions from the hill. The rescue ended about 8.15pm. The walker was my daughter so my thanks go out to everyone who help to bring Abigail, her assistance dog #Chloetheassistancedog and family friend to safety. After spending the night in hospital, she was released the following morning.